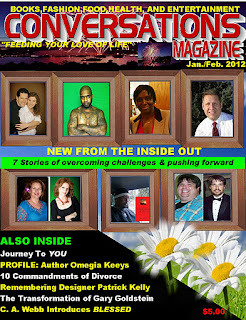 Cyrus Webb Asks "Is Conversations Magazine Feeding Your Love Of Life?" (New York Times Bestselling author John Saul seen here with Conversations Magazine)From the time it relaunched in December 2010, Conversations Magazine (www.conversationsmag.com) has been making a name for itself by offering not just insightful interviews and discussions but extras such as motivational messages, delicious recipes, commentaries and entertainment news suitable for members of the entire family. Today Conversations Magazine has over 3000 print subscribers in 6 countries (United States, Spain, New Zealand, Pakistan, Greece and Zimbabwe), and the momentum seems to be growing with each week. Editor-In-Chief Cyrus Webb and the team that brings the magazine to life each month have a simple question for you: Is Conversations Magazine feeding your love of life? For more on Conversations Magazine, visit www.conversationsmag.com. On behalf of the entire team that works on Conversations Magazine and its parent company Shadow Play Entertainment, thank you for your support. Without you, none of what we have accomplished would be possible. 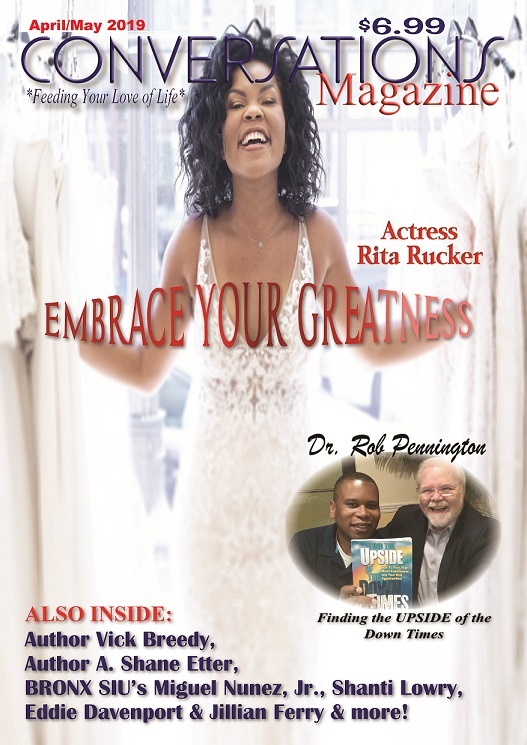 CONVERSATIONS MAGAZINE: Feeding your love of live! What do Kenyan orphans who yearn to attend school and learn to read have in common with the angels who live in the lowlands of heaven? Both groups are delivering character-building messages in award-winning books. Character Building Counts (CBC) Book Awards is proud to announce the winners of its 2011 Character Building Counts Book Awards contest. A beautiful story that illustrates commitment to duty, integrity in personal relationships, service to the unfortunate, and respect for the Creator. A true story of hope, friendship, family, and overcoming adversity, with an eye toward inspiring a level of compassion that will lead to greater understanding and humanity. A value-rich framework for new families, linking generation to generation by inspiring parents to bring meaning and significance into the lives of their children. Twelve-year-old Shawn Stuckey learns to overcome small town biases by moving toward greater appreciation of gender, cultural, and ethnic diversity. This story of forgiveness and the will to live explores the struggles of two beautiful women and two beautiful cultures, all bound together by a great human tragedy, the Holocaust. A story that helps children who have experienced the death of a loved one to understand that life continues on the other side. Life is intended to be lived fully and joyfully. We honor that gift by giving God a good time through us … as us. Gives busy parents fun, practical, and effective tools to teach their children lifelong values such as gratitude, compassion, respect for others, and integrity. Challenges can be overcome. People are handy-capable—not handicapped. Girls can be heroines, and boys can accept help! Embrace each others' differences, and strive for peace. About the capacity to endure via stamina and fortitude, as told through the eyes of a navy deep sea diver. Also about the importance of living up to your fullest potential. Caring for youth who are in emotional pain can bring joy and anguish; even so, it is possible and necessary to do. What it takes, most of all, is a genuine connection of the hearts. A story of human suffering during a brutal period in British Colonial history. At the same time, this is an inspirational tale of hope and love. Congratulations to our Gold, Silver, and Bronze winners. Character Building Counts Book Awards has been honored to host this 2011 contest. Every participant deserves praise for writing and sharing their important messages. For details about who you can be a part of this year's awards visit www.cbcawards.com. At a time when authors are looking for attention for the work they are producing, individuals like Nesta Aharoni are ready to celebrate those who are providing a clear message that is free from some of the negativity and destructive behavior and language so prevalent today. Through the Character Building Counts Awards (aka CBC Awards), authors are able to get attention for their work and recognition for providing a message that resonates with the world. Nesta allowed Conversations LIVE Radio to be the place where the 1st winners of the CBC Awards was announced, and Conversations Magazine is pleased to recognize the winners as well. I talked with Nesta about the idea for the awards and what she hopes you and the authors that submit get from CBC. How did the idea for the Character Building Counts Awards come about? Having been an author who won three book awards, I became mindful of how helpful book awards are to book marketing. A seal on a front cover lends respectability and acceptability to the authors who win them. The press releases and Internet marketing that accompany these awards announce your presence as an author and the quality of your work. Because my book is about decency and character building, it seemed only natural for me to offer a venue for writers who deliver character-building messages to showcase their work through a one-of-a-kind Character Build Counts format. What do you hope the awards do to encourage and inspire authors who might enter and especially those who win? My hope is that in this graphic, loud, and explicit world we live in, authors will learn there are publishers, other authors, readers, and media personnel who appreciate words that inspire honorable and responsible living. I hope that CBC Book Awards will be the first but not the last entity to openly appreciate these types of messages. Additionally, I hope the authors' ideas will ripple out into society and help create a kinder, safer world for all of us. For those developing their book what advice would you give them about what they want to make sure they include if they want it to convey a real message? An author's message need not hit the reader on the head in order to be effective. New writers should consider the following: Characters who role model decent behavior can be powerful influences. Stories that display lessons of growth and improvement can be influential and easy to connect with. Good struggling with evil can be inspiring. Overcoming odds can be moving. Protecting the innocent can stir emotions. Nonfiction messages are equally powerful, as their authors authoritatively pen messages of significance to their readers. Whether you delicately weave your message through character development or plot, or you teach your readers through nonfiction concepts, the desire to touch your fellow citizens and stir them to compassion or improvement or contribution is at the core of Character Building Counts Book Awards. If there are those interested in competing in the 2012 cycle what is the process? Enrolling in Character Building Counts Book Awards is as easy as one-two-three. Visit our Web site at www.CBCAwards.com, go to the "enter" page, fill out the form, and make your enrollment payment. Please note that we are now in early enrollment for the 2012 contest, which means a discounted fee. We accept all genres of books. The Jan./Feb. 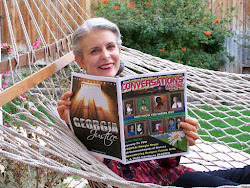 Issue of Conversations Magazine is now available! Shadow Play Entertainment is pleased to announce that the January/Feb. 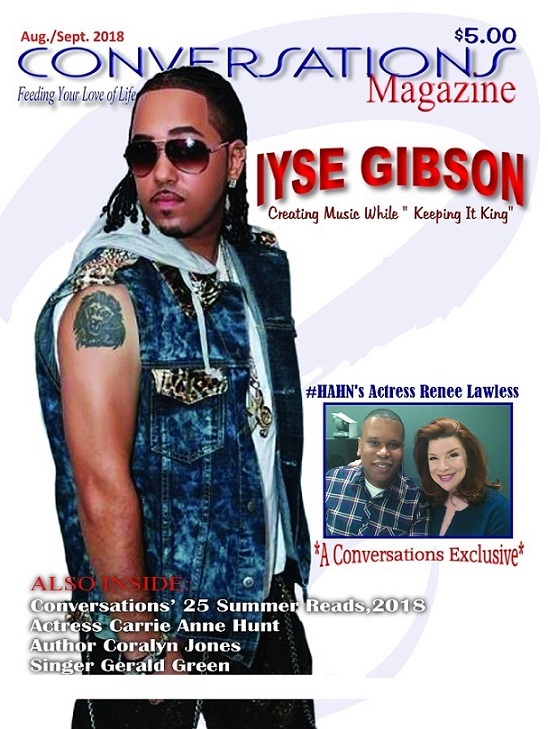 issue of Conversations Magazine is now available! Our theme for 2012 is "New From The Inside Out" based on the book by the same name written by Kim Vazquez. Our hope for you in the first issue of the year as in every issue is that you will be inspired to put your best self forward each and every day. "It all begins with letting go of the past," says Cyrus Webb, editor of Conversations Magazine. "You can't move forward if you can't learn to forgive others, forgive yourself and know that you are worthy of greatness." 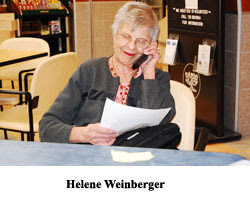 In compiling the first issue of 2012, Webb wanted to introduce you to individuals who have learned this lesson personally and are living the reward today. I so look forward to sending out profound messages each and every New Years Eve. However, this year I desperately searched but could not find my words. I must admit that this being my second Christmas without my father, has had my heart over come with a heaviness that has most likely challenged my creative flow. Most writers will agree that we are stimulated by profoundness. The culprit can present as a simple action, a brief experience or as a single word. Yes, each can trigger profoundness. As all in my circle know, I love the game of FOOTBALL. I’m rarely concerned with who’s playing; I just love and appreciate the game. Several years ago as I was watching the FOX and ESPN pre-game shows airing prior to the start of that year’s playoff games; I sat with my usual intensity as the very impressively dressed, self proclaimed experts argued their predictions. All unanimously agreed that the ATLANTA FALCONS would slaughter the ARIZONA CARDINALS and four out of six predicted that the INDIANAPPOLIS COLTS would beat down the my SAN DIEGO CHARGERS. I can clearly recall during that 2009 season, the fella’s extending their analysis as to why the TENNESSEE TITANS would slaughter the BALTIMORE RAVENS. In addition, they expressed how it was a waste of good airline fuel for the ARIZONA CARDINALS to fly to South Carolina to simply be embarrassed on National Television. No one gave certain teams a chance. For the record their predictions proved to be wrong for those games. I believe that the analogies shared, are so reflective of life and how many times forces close to us will fail to support or believe in our potential. Amazing how individuals with a stream of credentials behind their names will eloquently try to put forth their analysis, assessments and theories as to why we don’t have the ability to achieve the unimaginable. However, in all fairness, many times we are our own worst enemies; simply because we have not bought into our inherited greatness, our ability on any given day, at any given moment to rise and claim that which we were sent here to become. 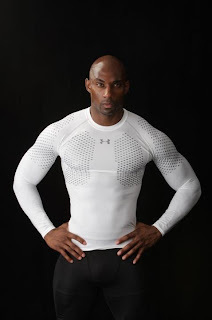 As you transition into 2012, shake off the doubters, the joy stealers and negativity. Step out on Faith and Courage. Perhaps, it’s time to release that Jazz CD, Apply to Nursing School, Attend Art School, start the foundation for that Fabulous Venture or release your Debut Novel. And for those who feel it’s too late to achieve your goals, trusts that sometimes from a plan (B) a new and better plan (A) will emerge. You must never underestimate your ability to achieve greatness. Do not allow fear, self doubt or complacency to derail you from your passions. You must not only believe in your greatness but it is imperative that you internalize this reality; regardless of what the experts may predict, trust that on any given day, at any given moment, you have the ability to rise and achieve greatness. Passion is something that can't be confined by location, current circumstances or even the negative energy that may surround you. When it comes to what you were really meant to do, not even death can stop your destiny from being fulfilled. As I was thinking about the start of the new year I kept going back to the thought of how many people are willfully inching towards what is a slow creative death. They know what they are good at, they know what really drives them but they are allowing something to hinder them and stunt their development and progress. An example of someone who would not let location or even poverty stop him from reaching his personal greatness is fashion designer Patrick Kelly. Born September 24, 1954 in my home state of Mississippi, Kelly rose from obscurity to become the first American designer of any race to reach the top in Paris. At the age of 33 he had inked out a $5 million deal Warnaco, propelling him towards the greatness that he believed was possible. The road was not an easy one though. There were some homeless nights when he didn't know when his next meal would be coming from. There were also the naysayers that told him what was not going to be possible. Patrick Kelly just chose not to listen. There was an inner voice cheering him on along with those around him who knew what he could achieve. That is where he focused his attention. So how was he able to do it? How was a man that seemed destined to be just another statistic able to separate from the pack and succeed? It was passion. For him there was no way he was going to live on this earth and not be doing what he knew was meant for him to do. That is what so many of us can learn from. Regardless of how many "nos" we hear, there will be those who will believe and give us the "yes" needed to keep going. If you give up now, however, you will never know what could have been. Sadly Patrick Kelly left this earth in January 1990. He was just 36 years old. Though we don't have him physically with us to learn from, his example is a lesson all of us should take the time to study and emulate. People like Patrick Kelly remind us that the possibility for greatness is there if we never let our goal out of our sight. By far 2011 was the most exciting and productive year I 've had since I began Shadow Play Entertainment and the Conversations brand. Thanks to your support we were able to not only introduce remarkable individuals but bring you quality discussions each and every month. Our success has really been because of you. you have opened up your heart and mind to us, allowing us to share a part of our mission and our purpose with you over the airwaves, online and in print. Thanks to you we are able to share our message with the world. What we hope to do in 2012 is expand on the foundation we have already laid and it begins with this issue of the magazine. I wanted to introduce you to individuals who know what it's like to be broken down and rebuilt wiser, stronger and with a desire to put their best self forward. We are also paying homage to celebrated fashion designer Patrick Kelly. His contribution to the world is immeasurable, and I believe that his passion for his craft and for life are something we can all benefit from. Here's wishing you continued success and happiness. Thanks for allowing us to join you on the journey. If favor was seen as something tangible, it had wrapped itself around Ezekiel James, Sr. He had visited every country around the world several times over, holding discussions with leaders and influential figures wherever he went. As the founder and Senior Pastor of For The People Non-Denominational Church, he had amassed a flock that brought together individuals of all walks of life, and his services were carried on over 200 radio and television stations each day. Billboards and commercials promoting the man and his ministry could be viewed wherever you might go. His 6'2" stature that some could interpret as intimidating was softened by his wavy grayish-black hair and deep blue eyes. There was a gentleness about him that was captured in the way he interacted with others and seemed to live his life. People adored, respected and genuinely loved him, and it could be said that Ezekiel loved them all just as much. This had been his life for almost forty years. He had been married for forty-three years to Elizabeth Simpson James, and they were the proud parents of fraternal twins Ezekiel and Elizabeth who recently celebrated their thirty-eighth birthdays. Normally Ezekiel wouldn't be able to focus on anything other than the task at hand, however, this night he couldn't help but reflect on how they all had gotten to this point. His son was following in his footsteps in many ways. Having chosen Chicago as the headquarters for his ministry, Ezekiel James, Jr. was seen as a man with charm, charisma and deep conviction. Just inches shorter than his father, they shared the same blue eyes but the son chose to wear his hair in a military-style cut, enhancing his boyish good looks. 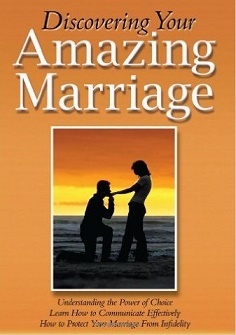 Like his father, the younger Ezekiel had found love with a fellow believer. His wife, Charlene Parker James, may have been three years his junior, however, she had proven to be wise beyond her age. The two seemed to be made for each other and had been blessed with three children, identical twins Sarah and Savannah and a handsome son named Vernon. Life was good for them, and Ezekiel, Jr. felt as though he was walking in the calling outlined for him by his heavenly Father. His sister Rebecca James Reynolds also believed she had found her true calling. Growing up it was obvious that she had quite a name to live up to, however, the pressure she felt was mostly self-inflicted. She was different from her brother in many ways. They shared the same drive and ambition, but early in life she knew her path would lead in a direction away from the church and into politics. The decision to run for office and make a difference through law was accepted by her parents and supported by her brother---it was the rest of the world who seemed confused by it. Here was a strikingly beautiful woman with flowing ebony locks, her mother's glistening shimmering green eyes, pouty lips and style that would rival some of the best models in the fashion world giving up a life of ease to fight for the rights of others. Though not seeking a role in the church like the men in her family, Elizabeth saw her work as a community organizer in Mississippi followed by her move to Arkansas and her role as a city county member as a true ministry. She was in a unique position to be one of those affecting policy and directly changing things for the common man who felt as though he was without a voice. It was on the city council in Little Rock that she met the man who would become her husband. Jeremiah Reynolds shared her love of the people, and the eloquence in which he spoke quickly attracted her to him. Rebecca was a born leader, and she could sense that Jeremiah was someone that was ready to be shown how to lead. He knew he was capable of greatness, and challenges like being the only black on the council and a Republican on top of that were obstacles that only encouraged him more. His was a success story that would be the model for young people around the world someday. Born to a single mother who held down two jobs to support the two of them, he saw his life as a test that he was intent on passing. Jeremiah set goals constantly, met them and pushed himself further. While in high school, Jeremiah started to work with the Boys and Girls Club while employed part-time at an office supply shop. He was seen as approachable, and though his intelligence was obvious, it wasn't something he lorded over others. 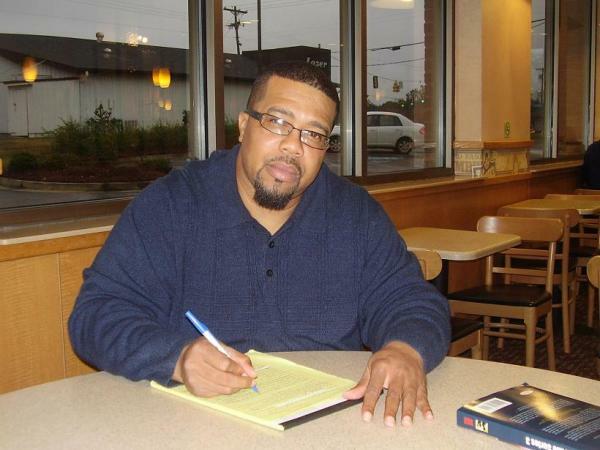 After graduation he attended a community college and became interested in law. By the time Rebecca James ran for and was elected to her seat on the council, Jeremiah had been in office for three years. Later with her vote, he became President. The chemistry between them was explosive, and what surprised many was the aggressive way they seemed to go after each other. The two dated less than a year before Jeremiah couldn't deny any longer how he felt about her. He proposed, knowing that being an interracial couple would have its own difficulties in the South, and the fact the woman he wanted to spend his life with was a James would only compound the scrutiny. But it was a decision he was willing to live with, believing that of all the women he had known, she was a the one designed especially for him. There was nothing unusual about Pastor Ezekiel James catching a flight from his hometown of Jackson, MS to Washington D. C. in the middle of the night. At the age of 77, he was a well traveled man with connections and relationships around the globe. Anyone who knew the reason for this visit,though, would tell you that it was definitely unusual. When his plane landed in D. C. there was a car and driver waiting to take him to the resident of the White House. Again, on the surface, nothing out of the ordinary there either. His son-in-law was the President of the United States, heading into his second year in office. Ezekiel was seen by many to be his spiritual advisor and was seen with the Commander-In-Chief on many occasions outside of normal family events. Yet as the driver shut the car door and they headed towards their destination, it was unclear whether or not the President was ready to hear or accept what he had to say. To be frank, Ezekiel was feeling something that rarely came over him or that he would openly admit. It was fear. He was afraid. Everything about the events of the past several months scared him, and he couldn't shake the thought that much of it was his fault. His thoughts were interrupted by a sound that was all too familiar, yet this particular night it sent a chill through him. It was a sneeze. The driver sneezed. At that moment the seriousness of what was happening around him set it. After a pause, he reached over the seat and touched the driver on the shoulder. "Bless you," he whispered. "Bless you." In life we find ourselves trying to understand the world we live in. There are events that happen all around us that make an impact, but we sometimes forget about the larger scheme of things that trickle down to where we are. The same can be said about good and evil. We know they exist, but what do we really understand about their place. Ask yourself: Is a person automatically one or the other? Is it possible for both to exist to some degree in us all? And if they can be within us at the same time, what makes one become dominate over the other? These questions are important to me and others because of our fascination with knowing about how and why things happen. For that reason, many turn to the Bible for answers. It seems from the emergence of so many denominations and religions, however, that not everyone is happy with just one explanation for everything. It was in a conversation with Cyrus Webb (known to many of you as C. A. Webb) that he told me about the idea for a book dealing with the end of the world. That in itself was nothing new, but Cyrus wondered what if the person responsible for causing the end of mankind was also the person credited for giving birth to it? He meant Eve. Now that was something new. Within days of the initial conversation, Cyrus had the entire book outlined. He wanted to release it as a four-part serialized e-book and novella, similar to the style of Charles Dickens and what Stephen King accomplished with The Green Mile. He even knew what the title of the series would be. It was one word that he felt as though summarized the storyline and his idea. You are about to enter part one of this journey. In The Beginning will guide you into the lives of those who have come face to face with good and evil and must decide which they can live with the most. It is the hope of the author and myself that Blessed will remind you of just how precious life is and how quickly the things we make important in our lives can be taken away. Enjoy, and remember to live each day as if it is your last---because for some of you it just might be. For years Mississippi native Cyrus Webb (known as C. A. Webb) has been a supporter of the power of words. Now in 2012 he prepares to deliver his own through the serialized novel BLESSED. BLESSED will take readers into the intricate worlds of religion and politics, asking them do they really know where success and good fortune come from. You will meet Pastor Ezekiel James, who has enjoyed a historic legacy that is amplified by the remarkable success of his family. For almost 40 years he has been one of the most recognizable faces and names of faith around the world, and that favor seemed to be passed on to his seed, fraternal twins Rebecca and his namesake Ezekiel. Born with the world seemingly at their feet, Ezekiel continued in the example of his father while Rebecca chose politics, a course that would introduce her to Jeremiah Reynolds. He wants to see a change come to the country. With the support of the James family, Jeremiah would gain influence that leads him to the offices of Mayor, Governor and even the White House, becoming the first man of color to become President. 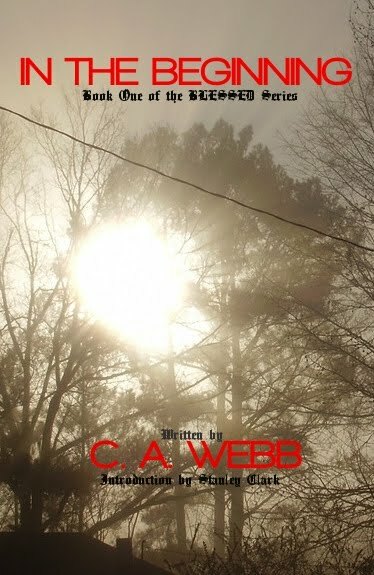 IN THE BEGINNING, the first book of the series, will be released in installments through Conversations Magazine beginning January 2012 and later as a novella. 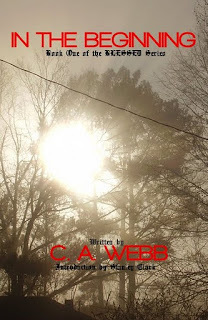 Details about BLESSED can be found at www.blessedbycawebb.com. We live in a world where the simple truth is there are those who have and those who don't. To some, those who have are seen as blessed. They might have overcome tremendous obstacles to get where they are. In the case of others, they may have been born into the right family or find themselves in the right place at the right time. Still others have not come into their success honestly. This brings up an important question: Do all blessings and success come from the same place? Like many of you, I read the Bible not just for encouragement but the educational aspect as well. It was during a reading of the book of Genesis in 2009 that I realized something that never occurred to me before. The Bible tells us that Adam, the father of mankind, was nine hundred and thirty years old when he died (Gen. 5:5), but there is no record of Eve's demise. That sparked something within my imagination. What if the reason there was no documentation of Eve's death is because she never died? What if the Devil was able to give her the ability to live as long as he did as one of his followers on earth? It was a controversial yet intriguing idea, so I began to write it down. Before long I had an outline for a series of events that put good and evil literally face to face with each other. Eve was reinvented in my book as Evelina Morales, one of the leaders in the Devil's organization called The League. She has as her opposition on earth strong men and women of faith as well as the angelic organization Heavenly Messengers of the World led by archangel Michael Silver. Though the overall mission of The League is to sway as many humans as possible away from God before the end comes, Evelina's agenda is far more personal. She seeks out those with power and influence in the arenas of the church and politics to show that no one is above reproach. This plan leads her into the lives of two men with great potential and ambition: Pastor Ezekiel James Sr. and President Jeremiah Reynolds. They both have accomplished extraordinary things, but who was really behind their successes? The answer to that question and the consequences of it unfold in this four-part literary series called Blessed. I hope you will be entertained by the story, but I also want you to give the overall message of Blessed some thought. Does what we have or where we come from really define the kind of person we are? Just because we are committed to a faith or political party, does that mean there is no good in a group we might not totally agree with? And finally, is it true that there are always second chances or opportunities to right a wrong? Thank you for visiting my world. I hope you enjoy your time here and will return often as the future that is already written continues to reveal itself. 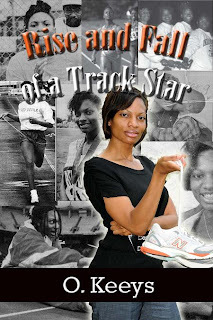 After being introduced to her work in 2010 I actually had the opportunity to meet Omegia Keeys the person in October 2011 while she was on tour with her latest book RISE AND FALL OF A TRACK STAR and what an experience it was. You can feel her confidence right away, but it is tempered with her gratefulnes for what she loves to do, and that's writing. This is not something that was new to her. 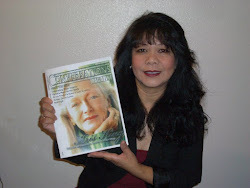 When we sat down to talk about her journey as an author and what led her to write the book that chronicles many of her personal experiences good and bad, Omegia shared with me that reading and writing were things that were encouraged years ago. It all really began in 9th grade, she told me, thansk to a teacher that took an interest in a group of girls and started a book club with them. The girls were encouraged to write questions for the discussion of the book. Omegia came to the discussion with stacks of questions and ready for the next selection. Even before that, however, she was known to write dialogue for her paper dolls, planning out scenes for them and leading them on a journey of her choosing. 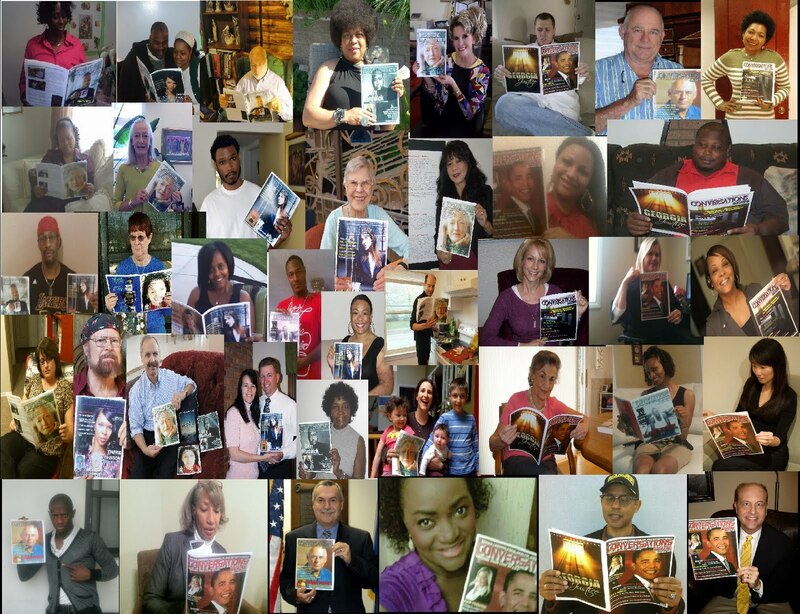 Today she is doing the same with her books, attracting readers not only across the United States but beyond as well. When I asked her what surprises her the most about her success, she thought for a moment and answered: "That people actually like what's going on in the mind of Omegia!" This along with the feeling she has of living her dream brings her joy. 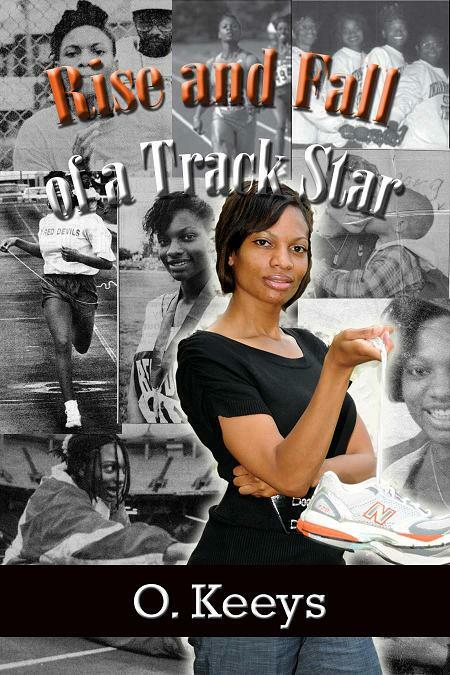 Anyone who has read Omegia's new book, RISE AND FALL OF A TRACK STAR, are introduced to a side of her life that is not always full of happiness or joy. We are able to see how she deals with abuse, being young and pregnant and the decisions she made that have enabled her to do what she is doing today. She told me that she wrote the book in about a month, and that the process was a liberating one for her. "I think I cried harder writing it than after the actual events," she shared. While she was going through the abuse she says she never went through the victim stage, never asked 'Why did this happen to me?'. "I was always a person that thought it could be worse," she says. This caused her to build a shell around herself and her feelings. Today she sees the sharing of her story, the highs and the lows, as something that is good not just for herself but for others as well. "I think my life has prepared me for what Is next or ahead," says Keeys. "It takes alot to bother me now." The attention she is getting for her craft is not something that she takes lightly. She told me that she sees her role as an author as being educational. The lesson for others to realize? When you don't make the right choices there are consequences. There are some who might have folded under the abuse of given up, but Omegia says this was never an option for her. "I write about strong women because I came from a line of them. My grandmother had 20 kids. My mother had seven. Who am I not to be strong?" She wants readers to be entertained but she also hopes the lessons she has learned and have incorporated in her books come through. "I don't want anybody to go through what I have," she says. "When you judge people you are victimizing that person all over again." Her key to success that she wanted to pass along? "Keep trying. Don't let the people that tell you that you can't do something influence you." 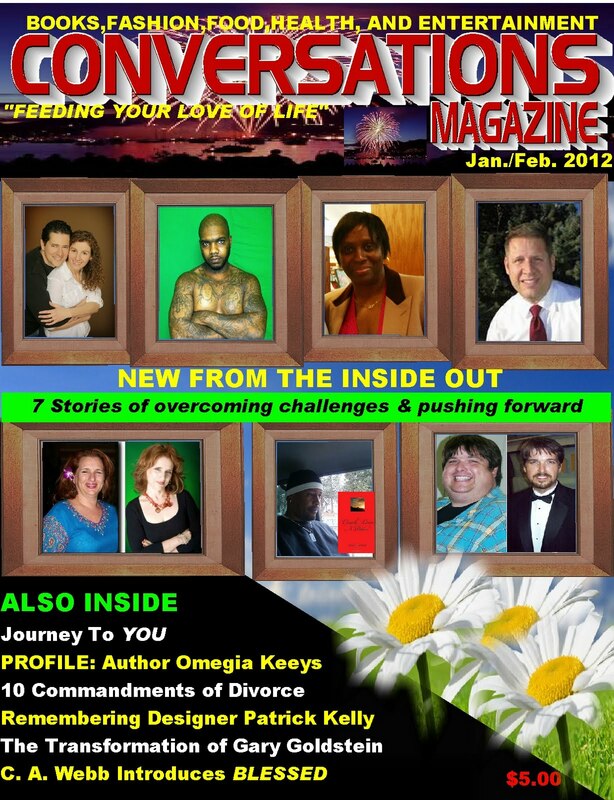 Following author Omegia Keeys' advice will definitely help you in your goal to begin living your life anew from the inside out. 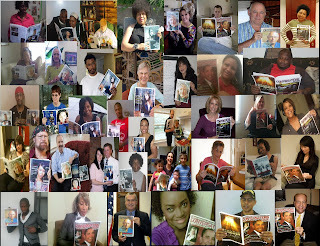 To keep in contact with Keeys visit http://​fromthemindofomegia.b​logspot.com/ or http://​www.passionatewriterp​ublishing.com. The Lowlands of Heaven, F.J. Dagg (Grand Prize Overall Winner)(fantasy/sci-fi) - A beautiful story that illustrates commitment to duty, integrity in personal relationships, service to the unfortunate, and respect for the Creator. 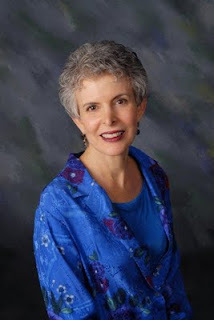 When this Is Over, I Will Go to School, and I Will Learn to Read, Pam Bitterman (children's) - A true story of hope, friendship, family, and overcoming adversity, with an eye toward inspiring a level of compassion that will lead to greater understanding and humanity. L'Mazeltov, Your Personal Guide to Jewish Childbirth Education, Pamela Nadav, NP (family) - A value-rich framework for new families, linking generation to generation by inspiring parents to bring meaning and significance into the lives of their children. Nuclear Undercover Kids Espionage Service (N.U.K.E.S. ), Lavern Holdeman (juvenile fiction) - Twelve-year-old Shawn Stuckey learns to overcome small town biases by moving toward greater appreciation of gender, cultural, and ethnic diversity. The Weaver's Loom, P.L. Reid (historical fiction) - This story of forgiveness and the will to live explores the struggles of two beautiful women and two beautiful cultures, all bound together by a great human tragedy, the Holocaust. Ride to the Stars, Suzanne Gene Courtney (children's) - A story that helps children who have experienced the death of a loved one to make peace with their loss and understand that life continues on the other side. 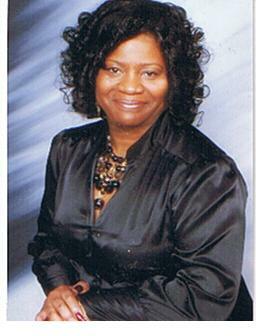 Giving God a Good Time, Patricia C. Campbell (spirituality) - Life is intended to be lived fully and joyfully. We honor that gift by giving God a good time through us ... as us. When You Say 'Thank You,' Mean It, Mary O'Donohue (parenting) - Gives busy parents fun, practical, and effective tools to teach their children lifelong values such as gratitude, compassion, respect for others, and integrity. Princess Lydia and the Fire Breathing Dragon, Denise Byers & Danielle Gray (children's) - Challenges can be overcome. People are handy-capable -- not handicapped. Girls can be heroines, and boys can accept help! Embrace each others' differences, and strive for peace. Take a Stand, Mike Cattolico (autobiography, military history) - About the capacity to endure via stamina and fortitude, as told through the eyes of a navy deep sea diver. Also about the importance of living up to your fullest potential. It's Heart Work, Evelyn L. Polk (memoir) - Caring for youth who are in emotional pain can bring joy and anguish; even so, it is possible and necessary to do. What it takes to be successful is a genuine connection of the hearts. Rented Silence, Lucia Mann (historical fiction) - A story of human suffering during a brutal period in British Colonial history. At the same time, this is an inspirational tale of hope and love. Character Building Counts Book Awards has been honored to host this 2011 contest. Every participant deserves praise for the important contributions they have made by writing and sharing their important messages. "Waste no more time arguing what a good man should be. Be one. 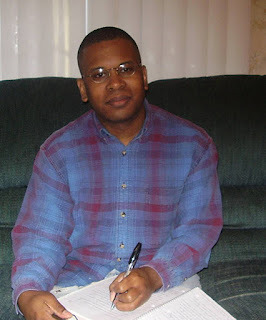 Become an Award-Winning Author in 2012! Get the attention and acclaim your work deserves! Are you ready to be the best you possibly can be? 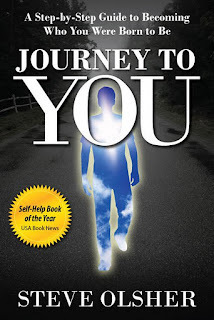 In 2011 one of the most fascinating guests I had the honor to interview on Conversations LIVE was Steve Olsher, author of JOURNEY TO YOU. In that conversation we talked about the steps that all of us can incorporate in order to become the person we were intended to be. 1. GIVE YOURSELF TIME AND PERMISSION TO FIND OUT WHO YOU ARE. This is something that can take time, and should take time as it will determine the way we move forward in the world and the decisions we make along the way. So many times we are bombarded by other's ideals of us. It's time to step up and accept that no one should control your life but you. 2. GET OUT OF DENIAL OF WHAT YOUR "WHAT" IS. This is not something that is always easy, because for many people what they want to do is sometimes catagorized by what they feel as though they can make a living doing or being. If this is the approach you have taken, I think the first thing you might have to do is realize that your passion is something that can't be defined by money. It is really based on what you feel as though you have to do in order to feel happy and complete. If you can identify that and be true to it, then you can make sure you are doing what it takes to pursue it. 3. REATTACH YOURSELF TO WHAT IT IS YOU WERE MEANT TO BE. I have mentioned in the magazine and even the radio show before that when we are young it is sometimes easier to be honest about what we want. There is such passion around it early on, but as life happens and others begin to try and define your purpose, it can be lost. This is your wake up call to remember what it is you love and go for it. If you can do this and not let others stop you from achieving that which is meant for you and that only you can do, then you are on your way to living authentically and as the person you were most designed to be. What I really appreciated about Steve is his confidence when it comes to inspiring everyone to be the very best of themselves. It's something that is attainable regardless of what you've been through yesterday or last year. Today can literally be the start of your new life. You just have to believe it and take the steps needed to make it so. Find out more about Steve and his book by going to www.steveolsher.com. For some the life of Mr. Mean Mug is what movies and gangsta rap is made of: drugs, guns, a broken home, music, jail and then redemption. But for the man born Shane Gregory it is much deeper than that. What he has lived through is not something he would have chosen. It is, however, what he was dealt, and he has emerged a stronger, wiser man because of it. Now with a new lease on life he lives everyday to its fullest with an emphasis on how he can use the time he has been given to make a difference in the life of those around him. With his debut novel TATTOO TEARS creating a steady buzz in the streets, he is using the pen and his words to get people to stop and listen to the words of what some would consider an unlikely messenger. In this exclusive interview with Conversations Magazine Gregory opens up like never before and it is worthwhile to pay attention to what he has to say. Since you were released from prison you haven't been pursuing music. You told me, though, that you wanted to still incorporate music in your mission today. Explain. I teamed up with a recording artist that will help me mix music and the message of my book by including a cd inside the cover. That way I can let them read and hear some of the soundtrack of the lessons I have learned in life. You allowed me the opportunity to be the first to tell your story on the radio back in 2009. Now you are giving Conversations the opportunity to tell your story for the first time in our magazine. Thanks for taking out the time to talk with me. Take us back to the beginning. I appreciate your letting me tell my story. I was born Shane Gregory in Ohio. My family was really big into church, and about the time I was 3 or 4 we moved to Texas to follow our church. It was after that move that things started to happen in my family. My dad got involved with drugs. There were days he wasn't around and that us kids were home alone with Mom. I learned quickly that to live and survive we would have to do it without him. Do you think that what happened with your dad contributed to the life you turned to? Definitely. As the years went by I got in the streets. I didn't know how to sell dope or anything like, that because I didn't grow up like that. Instead I started jacking cars and dope houses. Even then I was a go-getter and knew how to get what I needed. It's funny because now instead of snatching pockets I am mugging minds through the truth I am sharing. You have done some bad things, Mean, but what you did in the streets didn't make you a bad person. Realistically we know that some look at you and will say that no good could ever come from you. How would you respond to that? People who look like me can have intelligence. Those of us that were in the streets and come from the streets are a different breed, but that doesn't mean we can't have what others do. Some will automatically judge me and others who look like me. That kind of prejudice is hurting alot of people, and it's all over the place---even in the church. Those in the church can be guilty of blocking some people's way to God and happiness, and that's wrong. You seemed to escape paying for the wrong-doing for a while. What happened to change that? My lifestyle of crime started to catch up with me before my 18th birthday. I was 17 when I was locked up the first time. I made a deal with someone in the streets to get bailed out. He wanted to help me elevate my game, but I wasn't stupid. I knew he would be benefiting from my hustle, too. This would not be my only run-in with the law. I was acting foolish. At that point I started to think I was my own God in that I was the one that was going to make things happen in my life. Just 8 days after my 22nd birthday I was involved in a situation that forever changed my life. I had made plans with a partner of mine to busy some weed from these individuals and then come back and jack them for the money. Things got out of hand. One of the people in the dope house called the police, and before I knew it the incident escalated into a situation where I was jumping a police officer, was accidentally shot and eventually sentenced to 15 years. I went from believing that I was the author and finisher of my life to realizing that when God has something for you to do that it is going to happen. I know that God is keeping me here for a reason. Would you say this time your time in jail made a real difference in your life? In many ways. While I was locked up my good friend and business partner was killed. We had been like brothers since I was four years old. Looking back at it I know that if I hadn't been locked up that I would have been there with him and shared in his fate. It's for that reason that I keep his name alive in everything that I do. As long as I'm here, he's not going anywhere. Another ironic thing that happened to me while locked up was that the person who called the police during the incident ended up being my cellmate for a whle. We had a chance to talk things out and even became friends. Mean Mug, music was such an important part of your life, but how did books come into the picture? A few years into my sentence, around the age of 25 or so, I started getting books sent to me from my people on the outside. I was reading books like True To The Game by Teri Woods, The Coldest Winter Ever by Sista Soula, Grown & Gansta by Jacki-O and Death Around The Corner by C-Murder. I didn't have music, but I saw these books as a sign as to what could be the next best thing. I started writing, with Tattoo Tears being the first work that I have published with much more already written to follow-up later. 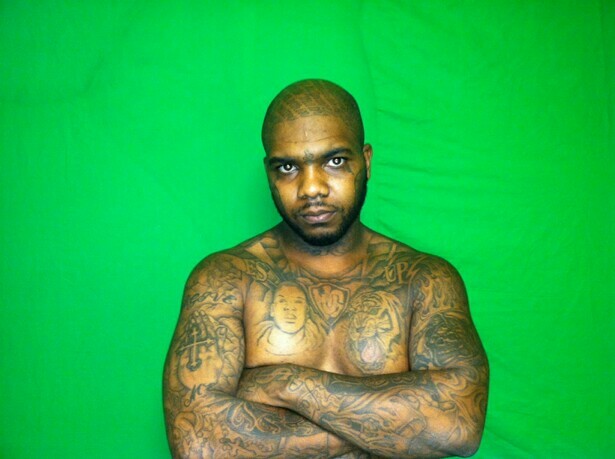 My voice as a rapper was silenced in jail, but I refused to be quiet. My words on the page became my new voice. Obviously you were released from prison early. What is your priority now that you have another chance? Yeah, I was released on November 14, 2008 after 6 years locked up on this last case. I'm a new man now, and I have a new beginning with my career as a writer, motivational speaker and more. This is just beginning. Tell us about your debut novel. Tattoo Tears is about an individual trying to find his purpose in life. Though they go through different trials and tribulations, at the end of the day they realize that all they have to do is get a personal relationship with God and open up their hearts and minds to what their purpose might be. The book is urban fiction, and at the end of the day I know those who open up their minds and read it will benefit from what I am saying. Mr. Mean Mug's second book EAT GREEDY GIRLS will be released in March 2012, and will be accompanied with a music soundtrack featuring Universal Recording Artist Big Chief. More information can be found about Mr. Mean Mug by visiting www.myspace.com/mrmeanmug817 or follow me on Twitter at www.twitter.com/mrmeanmug.